But the real harbinger of recession -- known as the "muffin effect" in alternative Australian economic theory -- is far from conclusive. Muffin sales appear to be holding up. 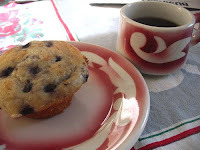 Advocates of "the muffin effect," as it was dubbed by the Australian Financial Review recently, believe that when the economy slams into reverse, office commuters deny themselves their usual muffin with their morning cup of coffee.